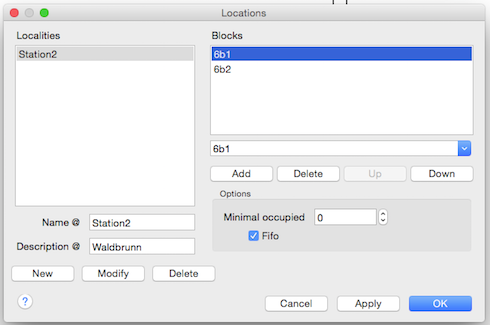 When using a location destination, the first free block, in the order specified, will be used if no block is specified. A Location is a group of blocks (or staging blocks) sharing the same logic destination; for example all tracks belonging to one station. 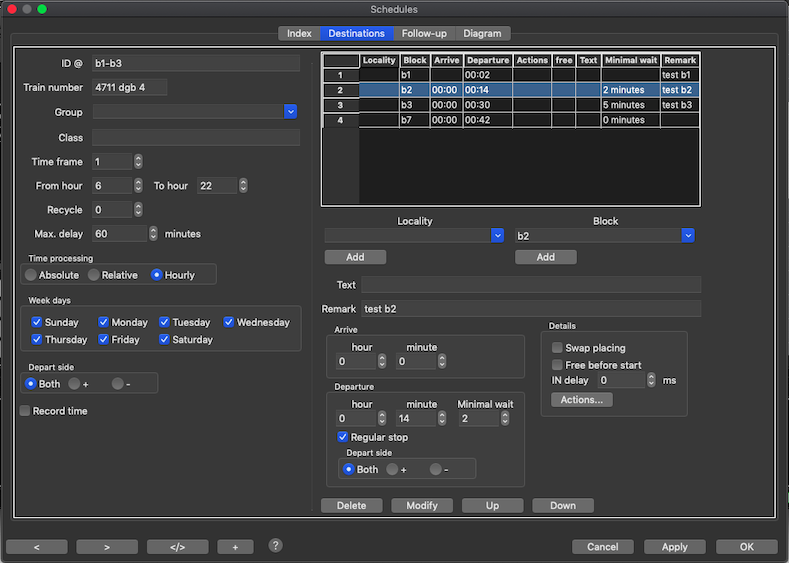 The schedule will be active when the train is at start on activation. If the train is not in one of the schedule locations it tries to find a way to come to the starting location in the goto block mode. if the train can determine if it is somewhere in the schedule it will try to go on to the next destination.